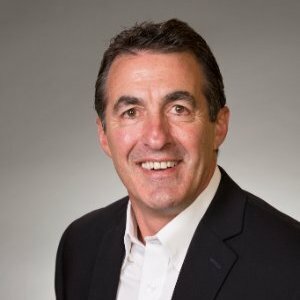 HOUSTON, TX--(Marketwired - July 13, 2016) - In their continued focus on company growth, Rand Group has added top executive Kevin Endres to the firm and has positioned him as Vice President overseeing their Microsoft Dynamics AX practice. With a long and varied background in ERP consulting, Mr. Endres brings with him the experience and enthusiasm required to hold such a goal focused position. His ERP career began in 1993 with a position at Ernst & Young that had him working with, now defunct, Baan ERP. Over the course of 4 years, he directed increasingly complex Baan implementations and grew and managed a team of experts. He left his position at Ernst & Young to work directly with Baan USA as a manager of their ERP practice. Following his tenure at Baan, Mr. Endres moved to a role as Principal Business Analyst with Avanade and started his journey into the world of Microsoft Dynamics AX. Working as a lead finance consultant, he had the opportunity to participate in and lead large-scale, multi-national, multi-country projects. This allowed him to expand his experience with the Dynamics AX Product while providing the opportunity to work with a team of knowledgeable individuals to affect real business change for Avanade's clients. Prior to joining Rand Group, Mr. Endres spent 7 years as the Director of Application Consulting with mcaConnect, where he managed the entire AX practice which employed upwards of 40 consultants and drove revenues of $15 million plus. As a motivated and focused individual, Endres has long enjoyed his part in the development of superior teams, as well as in the successful delivery of business transformation. As Vice President with Rand Group, Mr. Endres will target lofty growth goals while aiming to refocus the team toward more strategic endeavors. He will leverage his passion for mentoring Dynamics AX resources and help mature the skills of the consultants and build a powerhouse team, while improving the overall practice. "The opportunity to really take the Dynamics AX team to the next level for Rand Group was what drew me to this role," says Endres, "Microsoft has shown continued focus on AX, with significant R&D leading to improved functionality. The product isn't on a nurture cycle, but a growth path, and it's constantly being reevaluated to meet the needs of the market. With the cloud platform, scalability and customer focus in play, I'm really excited about the future of the product. Add to that the extraordinary management team and experienced consultants at Rand Group, and I feel very confident in our ability to help a lot more clients improve their business with this platform." Endres goals for the team over the next 12 months include a 20% increase in revenue and the accompanying additional headcount. Established in 2003, Rand Group is a member of Microsoft's Inner Circle, which recognizes the company as among the top 1% global experts in Microsoft Dynamics. As a complete front to back technology enablement solution provider, Rand Groups helps clients succeed through the use of secure, stable infrastructure, transaction processing systems and management analytics, as well as all aspects of web presence, including digital marketing. Headquartered in Texas, with two offices in Houston, and another in Vancouver, Rand Group has repeatedly appeared in Accounting Today's Top 100 VAR listing, ranking #20 in 2015.